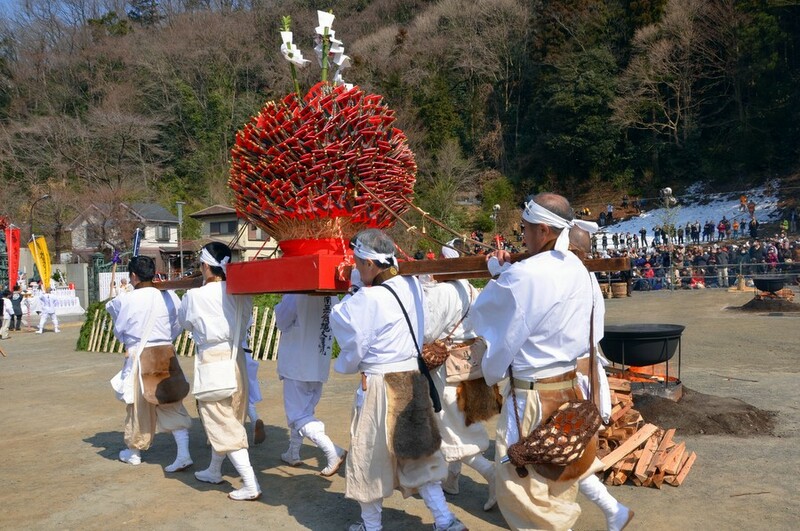 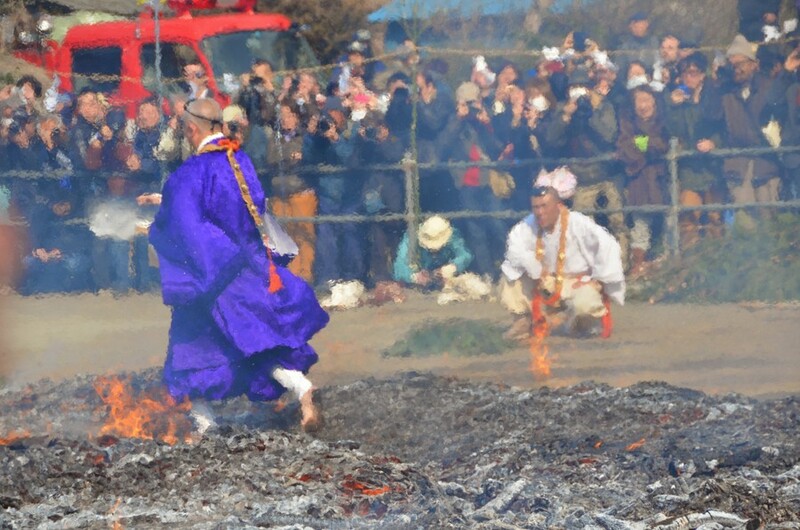 Hiwatari Matsuri, the fire-walking festival, is held on the second Sunday of March every year at Yakuoin Temple which is located atop Mt. 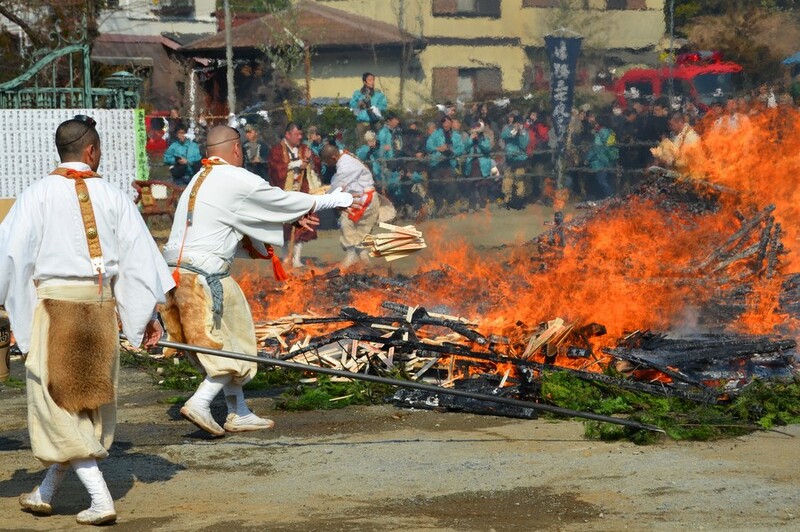 Takao. 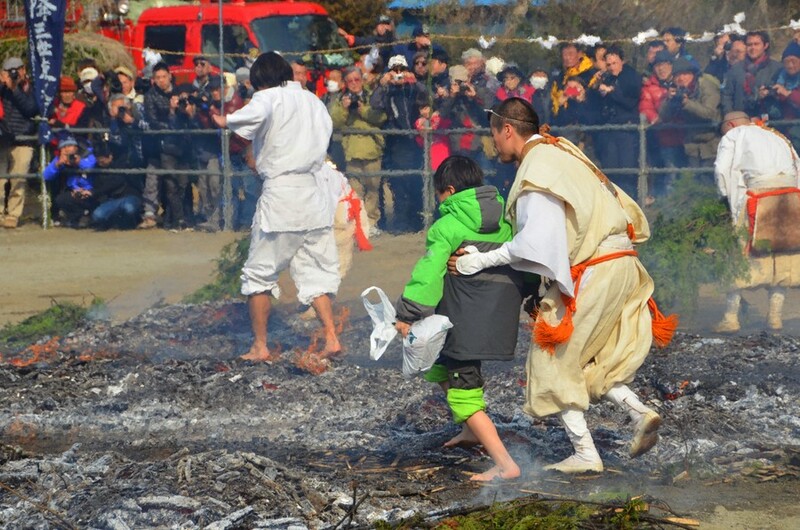 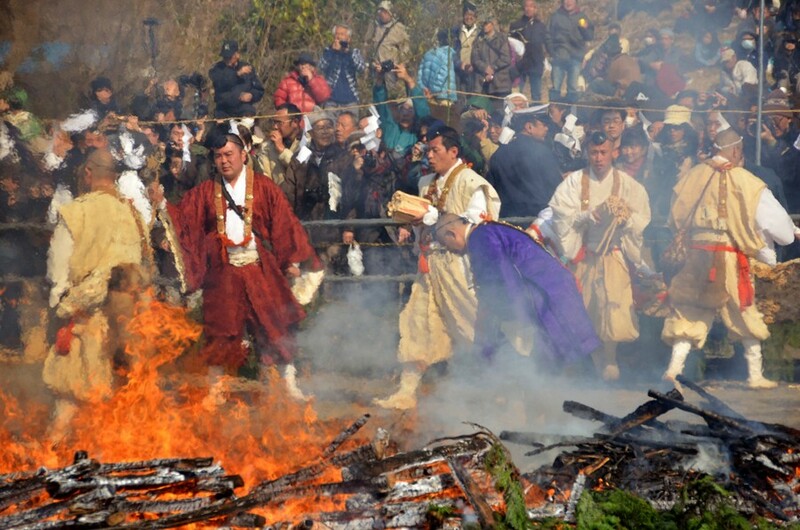 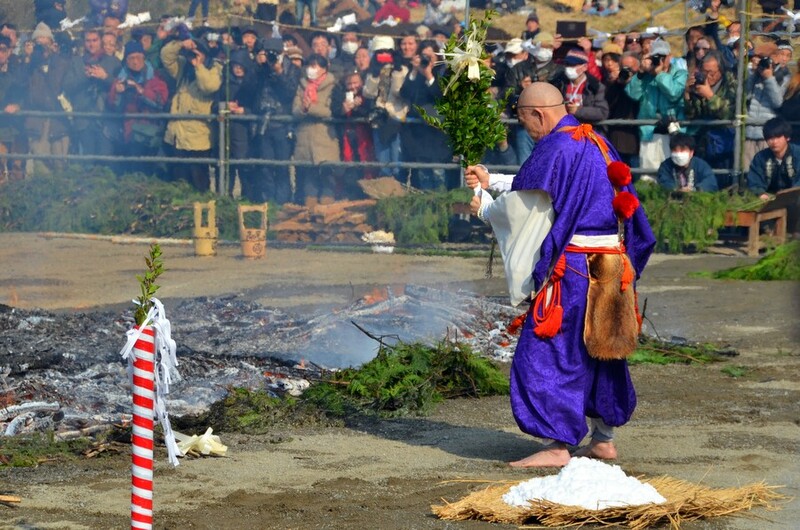 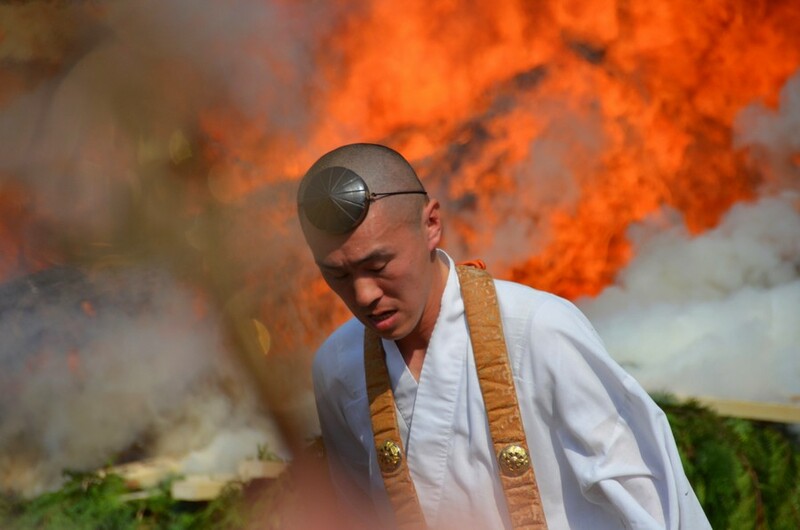 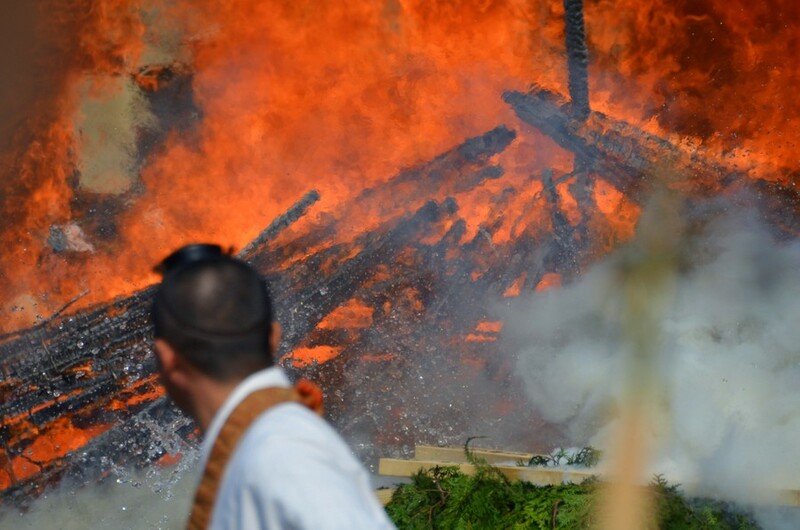 At this traditional event, believers first pray for the safety of family and good health and and then follow yamabushi (Shugendo practicing monks) to walk barefoot over the sacred goma fire that is smoldering and still partially burning. 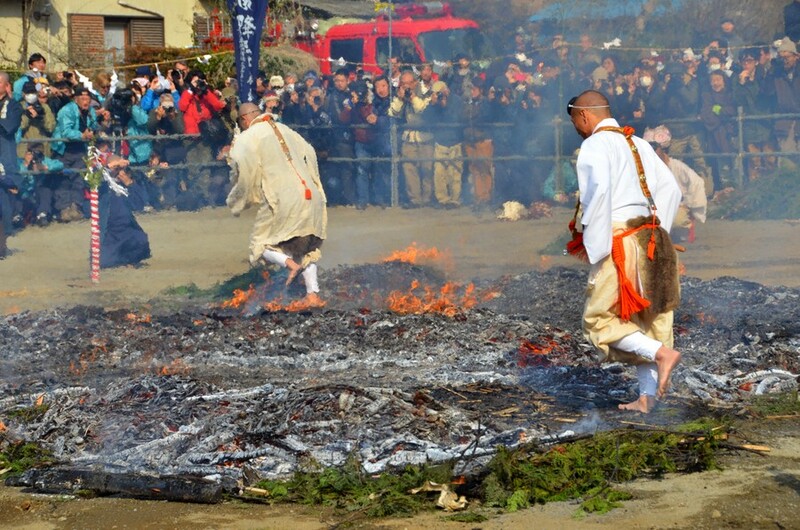 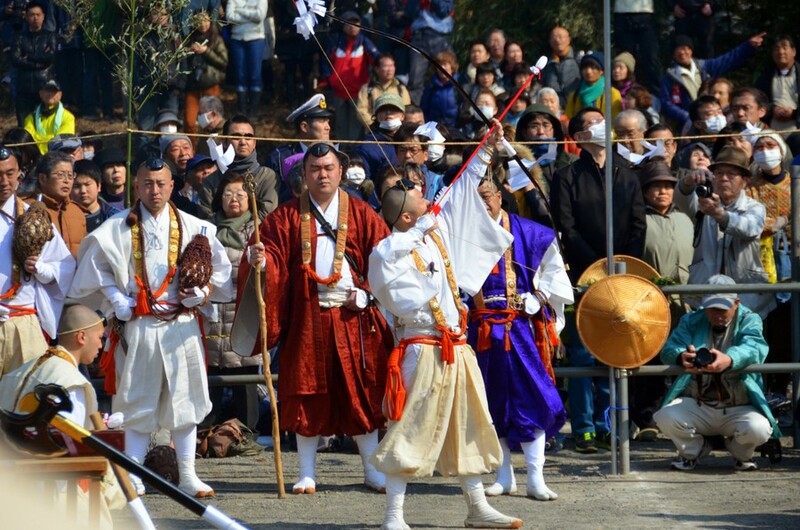 The sight of yamabushi monks bravely walking through the flame while chanting brings the event’s highlight. 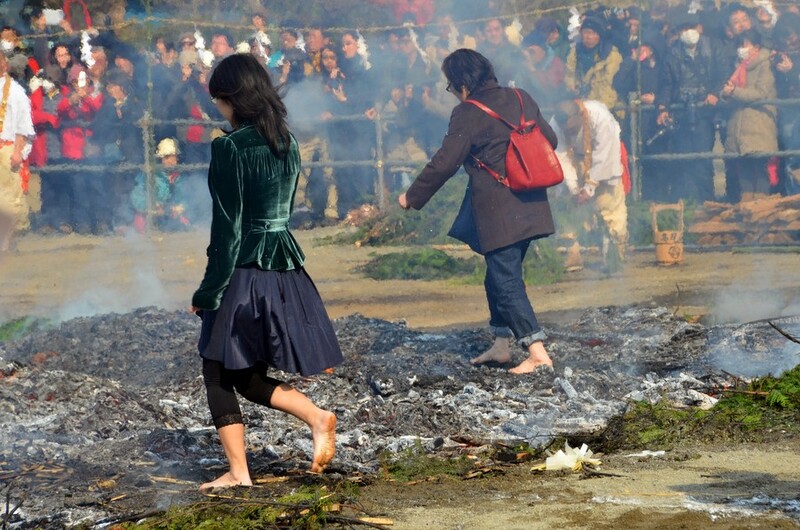 After the monks have completed the walk, public spectators may also participate in the barefoot walking after the fire has been put out. 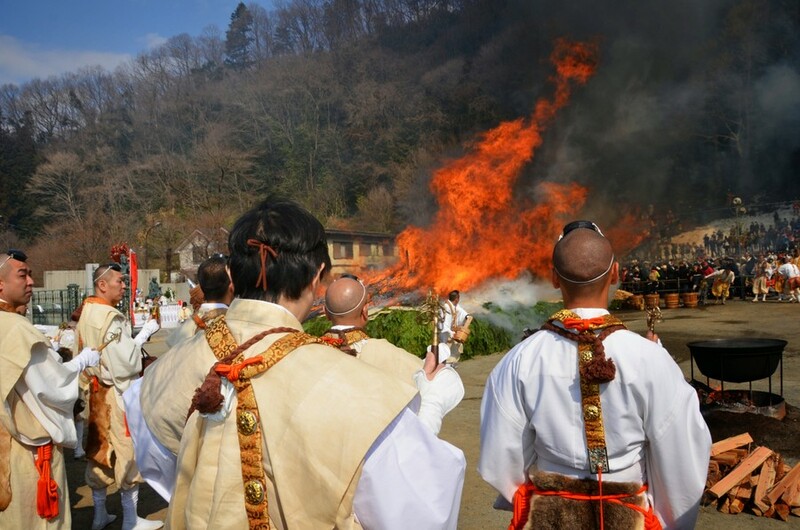 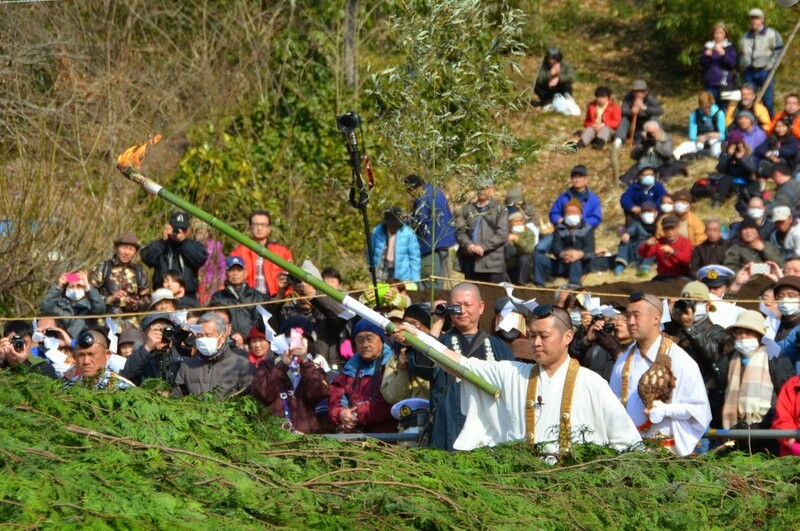 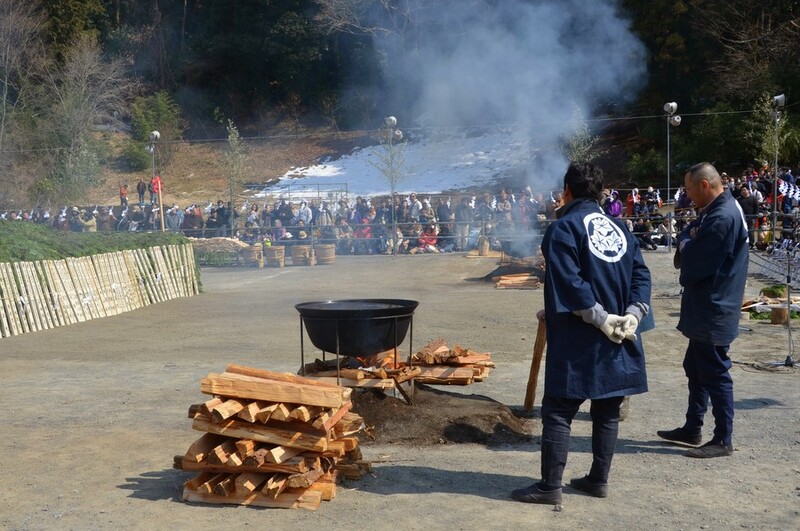 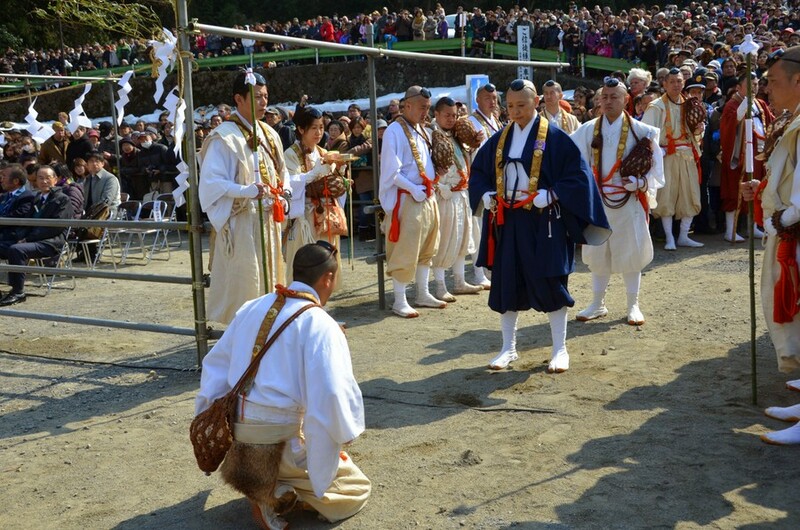 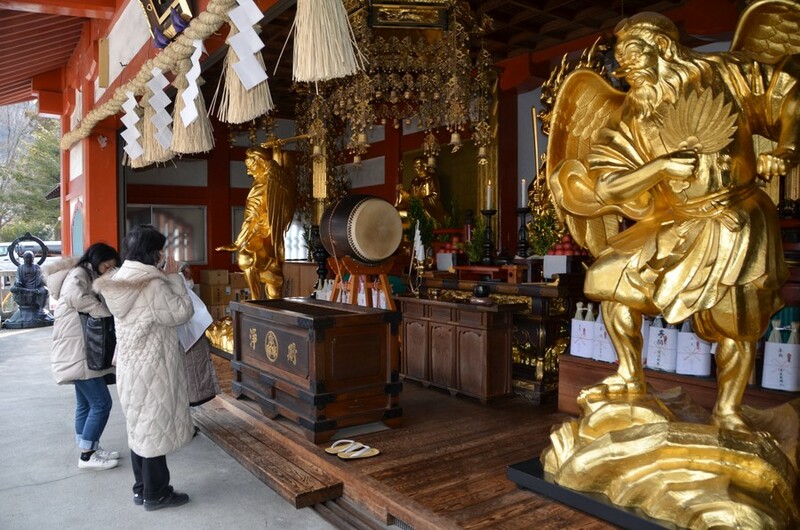 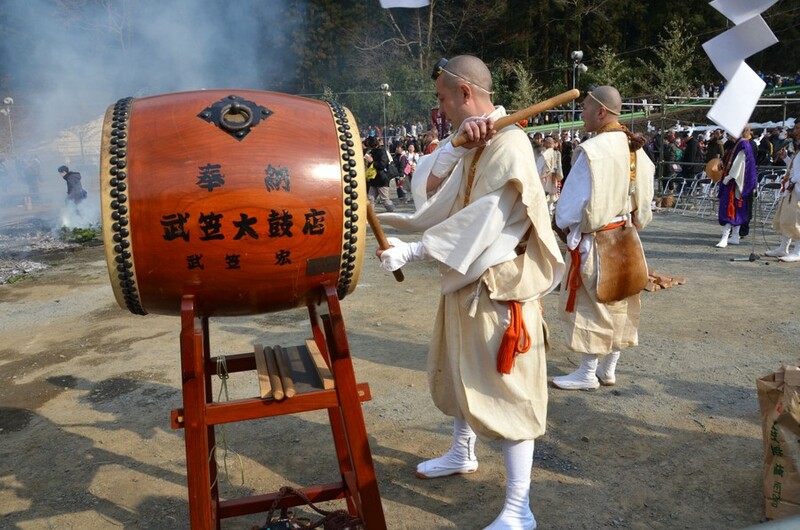 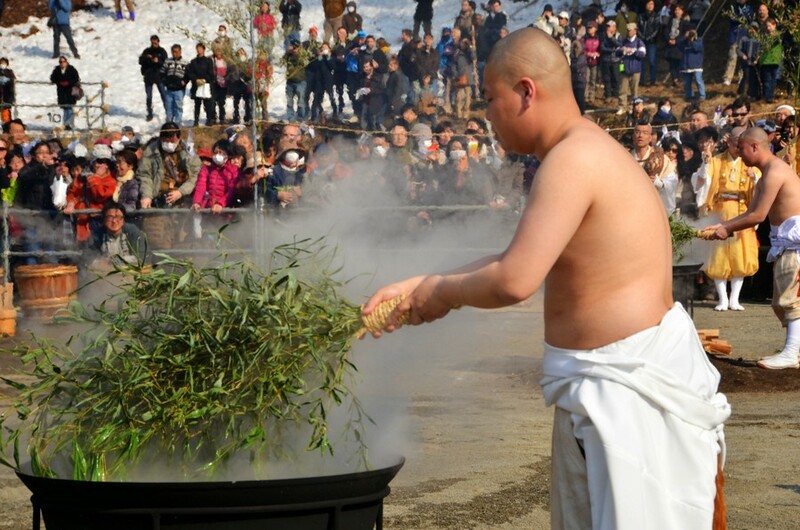 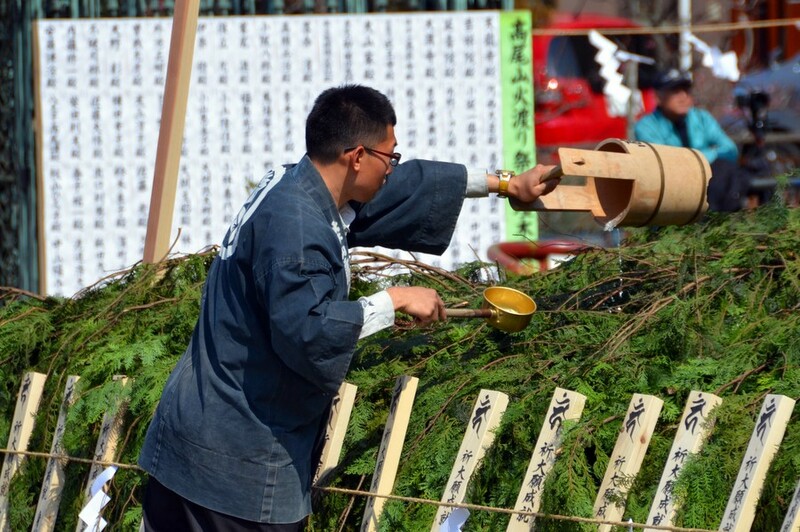 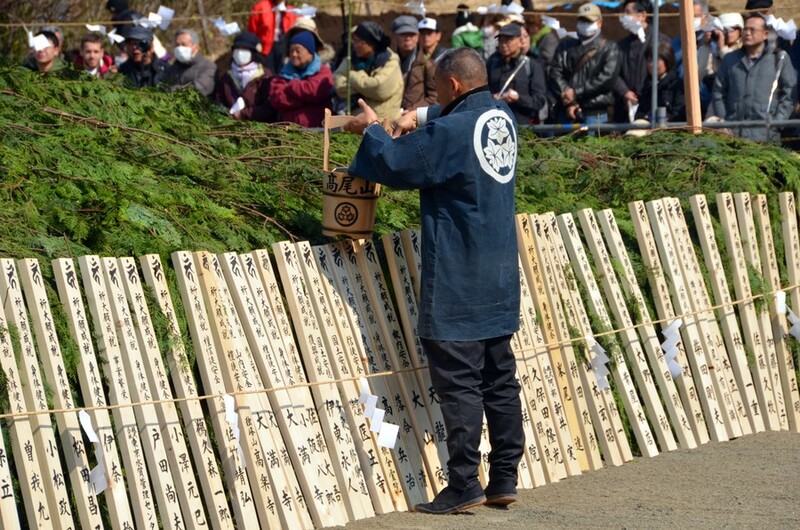 The ceremony is part of the training of Shugendo, a religion unique to Japan that mixes Buddhism and ancient mountain worship. 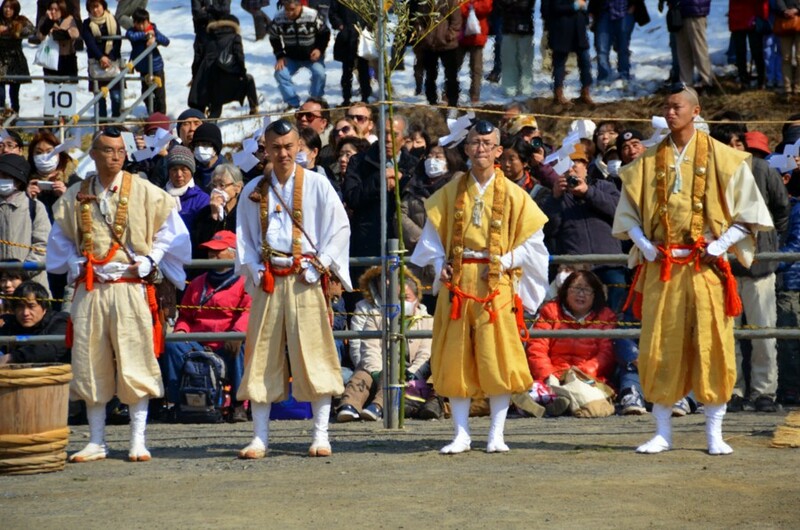 Hiwatari Matsuri takes place at the open area in front of Kitoden Hall, three-minute walk from Takaosanguchi Station on the Keio Line. 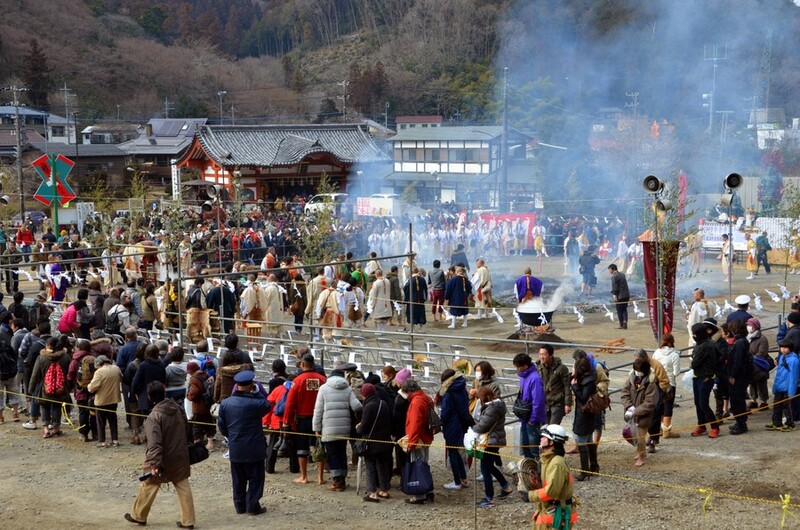 It is about one hour by train from Shinjuku, Tokyo.